Here are a variety of resources for insurance agents who market Medicare Supplement and other insurance products. We provide free marketing tools to agents who are listed on the directory. That includes banners you can use on your website or Social Media. 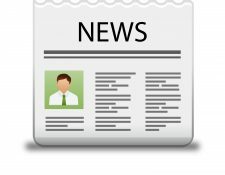 We also provide prepared press releases that you can use to generate local newspaper articles. To request these resources, send an email to Jesse Slome. Email Jesse Slome now. The affordable option to fill gaps in Medicare coverage and for individuals who want long-term care protection but cost, age or their health is an issue. Learn about Short-Term Care insurance. Visit the American Association for Long-Term Care Insurance website. If you are a consumer, we created this website and maintain it with the goal of providing you with current and relevant information. 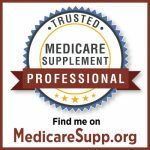 We created the FIND A MEDICARE SUPPLEMENT AGENT online directory so consumers could connect with local Medicare agents without having their name and information sold to dozens of insurance companies and agents. You get to see the listing and decide which agent you wish to contact (if any). NO ONE KNOWS WHO YOU ARE … until you call or Email them. 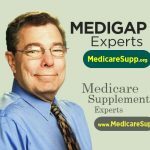 If you are in the Medicare Supplement industry — or work with companies who are, you should check out of National Medigap industry conference. This is the only conference that is 100% focused on Medicare Supplement and brings together hundreds of players in the industry. We also have made video recordings available from past conferences. You can watch them free of charge (a pretty sweet deal). If you are an insurance agent – we invite you to add your listing to our FIND A LOCAL AGENT DIRECTORY. While we will never promise that a consumer will find you, the testimonials we post are from real agents currently listed. They’ve let me know they were found. The only way to be found … is to be listed. And, we continually create and make available new resources for agents to use to generate more Medicare Supplement insurance leads and prospects.